The sixties were a transformative time in America and across the whole world. Changes in nearly every aspect of life were rapidly taking place, and the women’s movement and feminism were making strides. These alterations were reflected in the way women dressed during this era; the women’s revolution was underway and many women felt a new sense of empowerment by expressing their individuality through fashion. Style became a way to announce who you were in a proud and unique way, with no apologies. 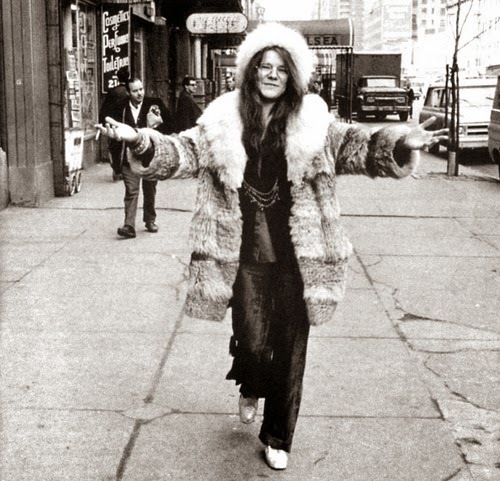 Fringe and Flowing Dresses—Stevie Nicks, singer of Fleetwood Mac, and legendary rock front-woman Janis Joplin wore at least a little bit of fringe in every outfit, and always had flowing dresses and coats made of crushed velvet in earthy tones. Some considered this style “witchy,” while others currently find it to be the iconic look of a “hippie” woman in the sixties. Leopard Print—Edie Sedgwick, muse to Andy Warhol became an “It Girl” in the sixties for her unique and fiercely individual style. 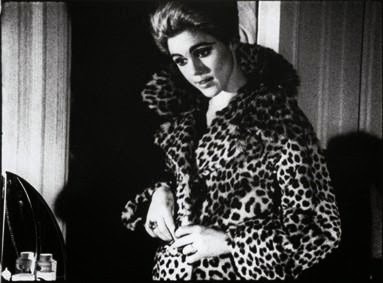 The most iconic photographs of Edie are of her wearing her favorite luxurious leopard print coat. Round Glasses—the infamous wire-rimmed round glasses that are closely related to John Lennon, Jimi Hendrix, and Janis Joplin were worn often in the sixties. Women also wore styles that were thick, oversized, and dark to complement the tones of their outfits and accessorize their everyday style. This trend has never disappeared, with women across the globe still wearing the accessory. 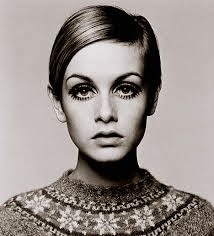 Eyeliner—Sixties supermodel Twiggy will forever be known as a style icon of her time. The most famous photographs of women during this decade include Twiggy’s thick black eyeliner and mascara which complimented her personal style. 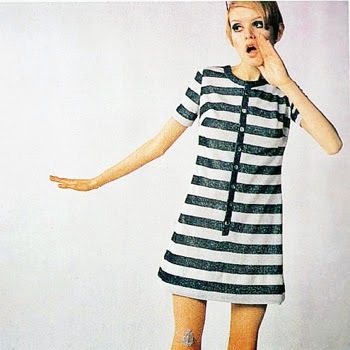 Twiggy was also known for her tailored short dresses, block coloring, and go-go boots. Stripes—the style known as “mod” was especially popular in the sixties, with icons like Twiggy and Edie Sedgwick constantly wearing short black and white stripes mini dresses with black tights, lots of eye make-up, and tailored ensembles. The main garments in mod fashion included thick horizontal stripes, usually in black and white. Cropped Hair—Goldie Hawn may be known for her infectious smile and amazing, classic romantic comedies, but she was also one of the first famous women to get the famous sixties cropped haircut, also known as the “pixie.” This haircut wasa staple for trends in women’s hair styles, and it attempted changed the attitudes men had towards the way women were “supposed” to look. Fashion designers are still creating collections inspired by the sixties. Whether it be make up, hairstyles, or the ensembles themselves. The influential time period, unique personal styles, and boundary-pushing looks will never stop being a trend.